Storage Solutions Delivered to you! 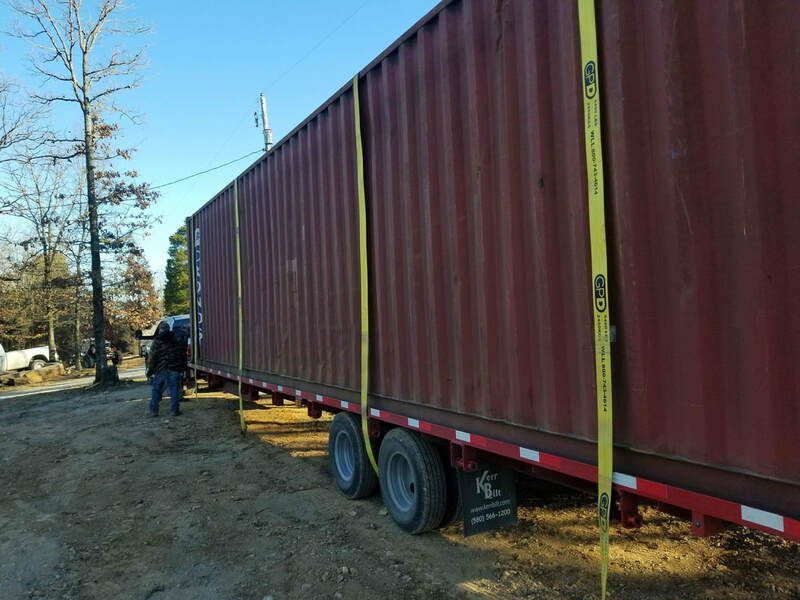 We deliver 20' and 40' containers using a hydraulic tilt bed trailer. Here are some general guidelines to prepare your site for delivery. 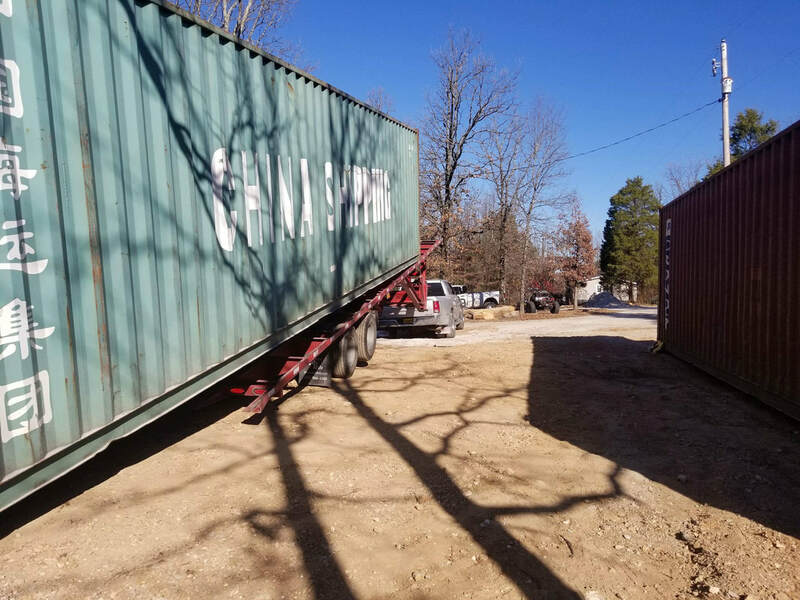 We will need 100' of straight clearance to unload the container. The truck must stay in a straight line when unloading and picking up a container. The ground needs to be fairly level, smooth and firm. We can deliver on dirt, grass, concrete, and asphalt. Please keep in mind that your container may sink or settle in soft surfaces and the truck tires may leave tire marks. If you would like to block underneath your container, please have the blocking materials on hand at time of delivery. Blocking materials can include landscape timbers, railroad ties, and solid concrete pavers. Make sure there are no power lines, tree limbs or roof overhangs that can interfere with delivery of your container. The tilt bed trailer and container need a minimum of 16' clearance overhead. Call us if you have any questions concerning delivery and space required.